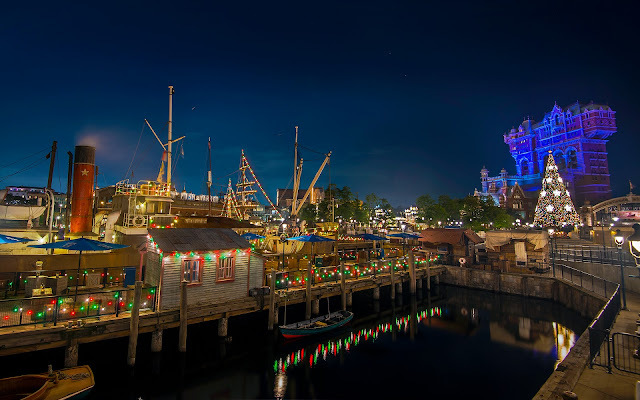 The American Waterfront has three different areas to its aesthetic--a New York district, a Cape Code area, and a rustic pier section reminiscent of what can be found in San Francisco. It's an interesting geographical grouping for those from America, but remembering that this was designed as a romanticized visualization of American coastal areas for Japan, it makes sense that these iconic water spots should be chosen. 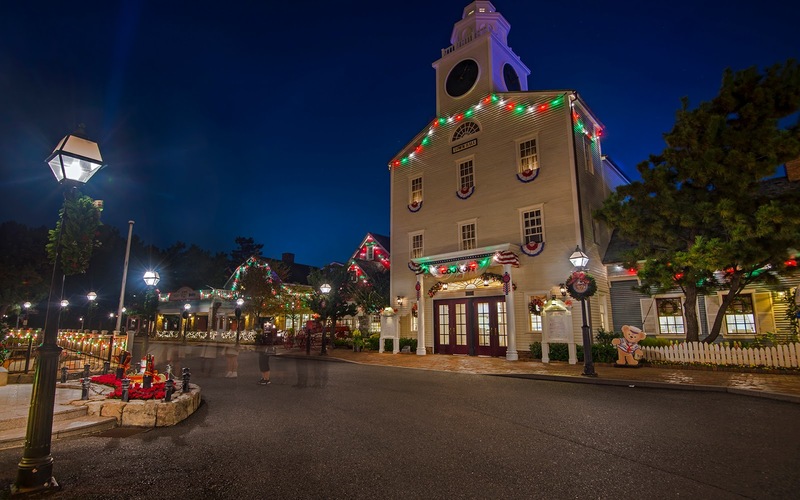 During the holidays, all three areas are ripe with Christmas decoration, and the classical red and green lights add a nostalgic feel to the area. It's so peaceful and wonderful to stroll through these little "neighborhoods" and take in the holiday cheer. Such is the grandeur of Tokyo Disney Sea! A silent night is not silent when the Tower of Terror is nearby. 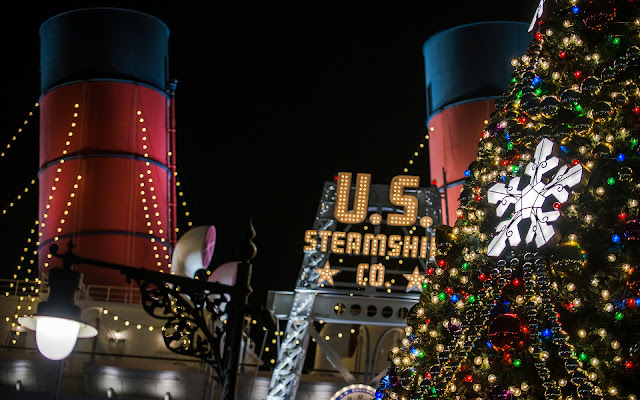 A close-up of the American Waterfront Christmas tree in front of the Columbia. Town hall in Cape Cod during the holidays.